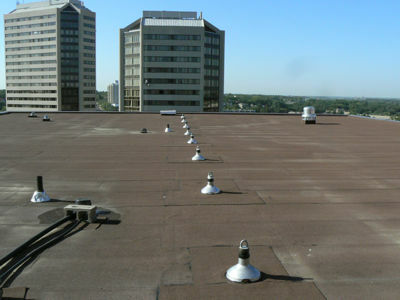 Rooftop or overhead horizontal lifeline systems that allow easy movement and protection in fall hazard areas. Stainless steel components with lifetime guarantees are the foundation for horizontal lifelines. 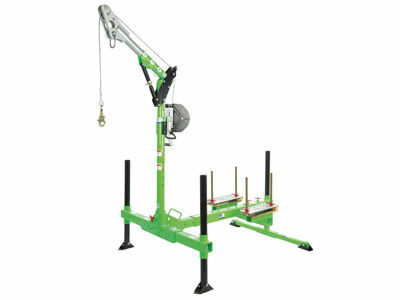 Each component is CSA certified. High Tension Lines - Commonly used at railcar loadouts in grain terminals, mines and in truck bays. Low Tension Lines - Low tension lines found on rooftops with varying degrees of slope and used for fall arrest or travel restraint. 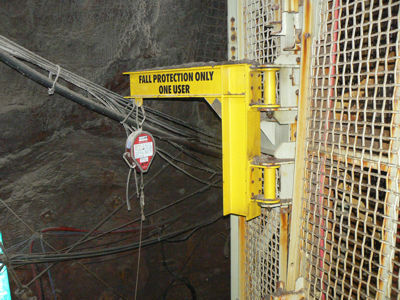 Anchors are secured to the structure and can be used for tie-off of suspended access, bosun chairs, and vertical and horizontal lifeline systems. 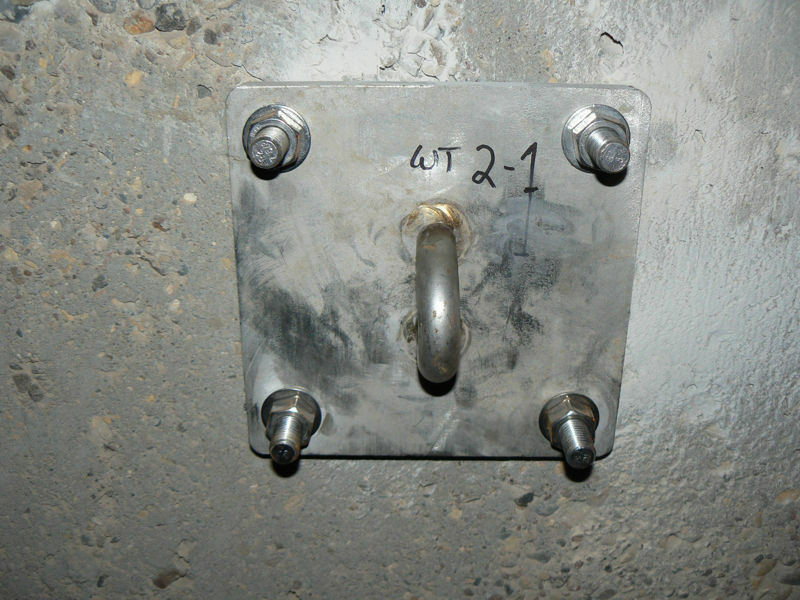 Wall Anchors - Tie-back or lifeline wall anchors are often attached to a penthouse. 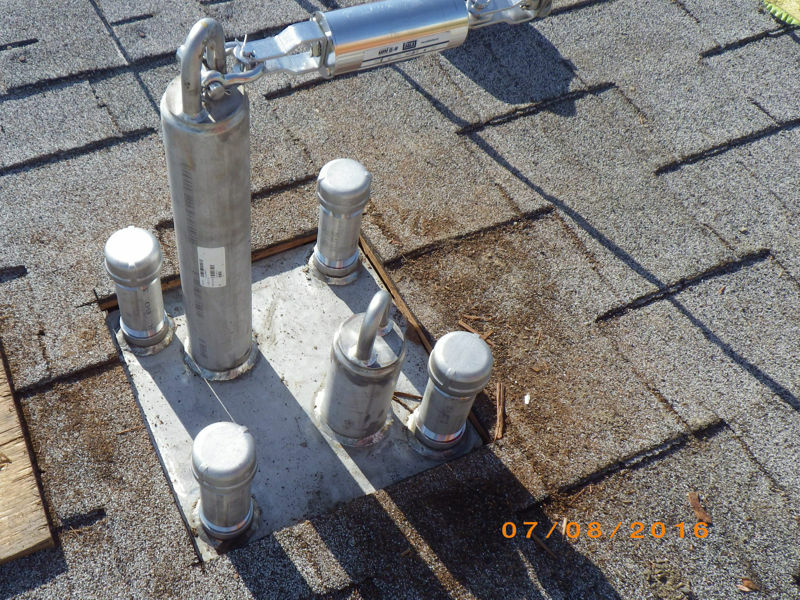 Can be bolt-through or adhesive and are safety-rated to 5000lbs. 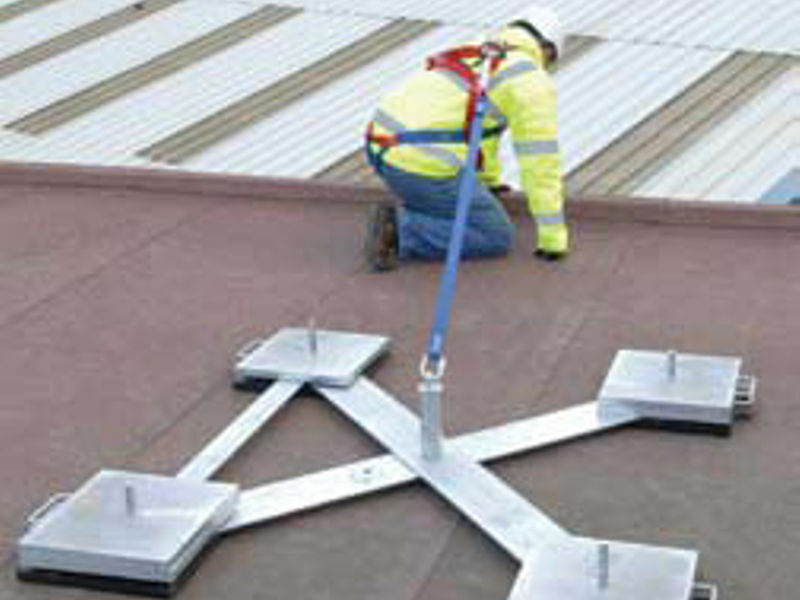 Single Point Force Management Anchors - These anchors exert less force on rooftops. 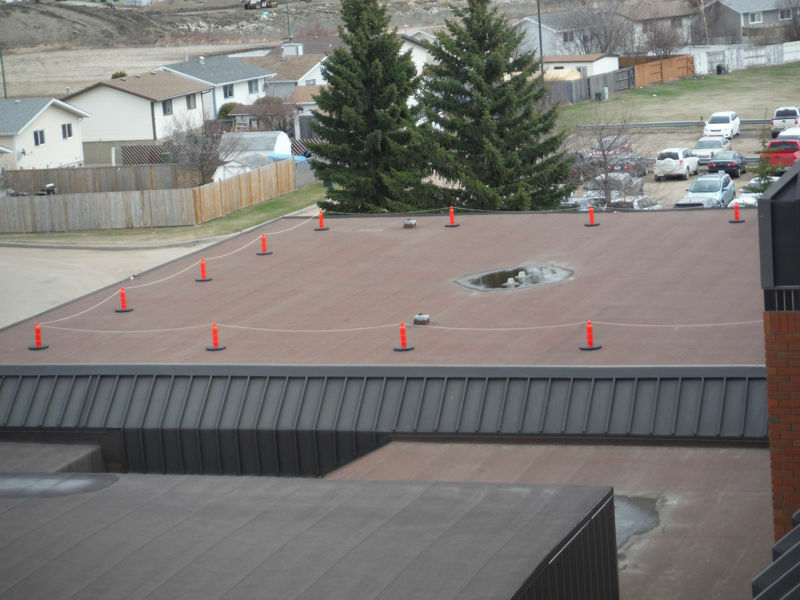 They are cost effective and require minimal structural upgrades. Rigid Post Rooftop Anchor - Can be intergrated into a rooftop lifeline system. Window washing is a typical usage for this type of anchor. Guardrail - Non-penetrating guardrail that sits on rooftops or clamps to standing seam roof structures provides a barrier to the leading edge. 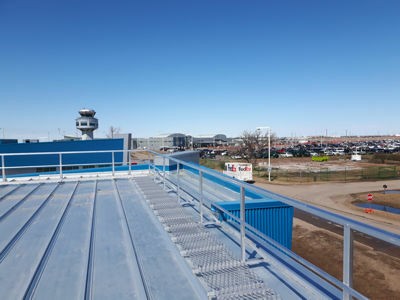 A variety of railing types and custom configurations are available. Guardrails prevent falls before they even happen; they are one of the most pro-active forms of fall protection. Fixed Ladders - Fixed ladders provide safe access to work areas and ensure workers comply with OH&S regulations. 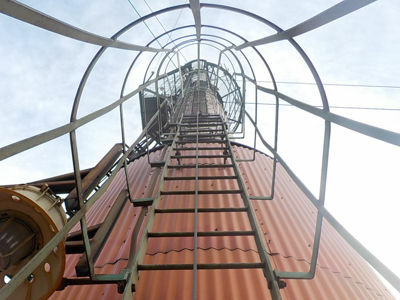 Ladders can be custom-built and field-fitted for your unique location requirements. 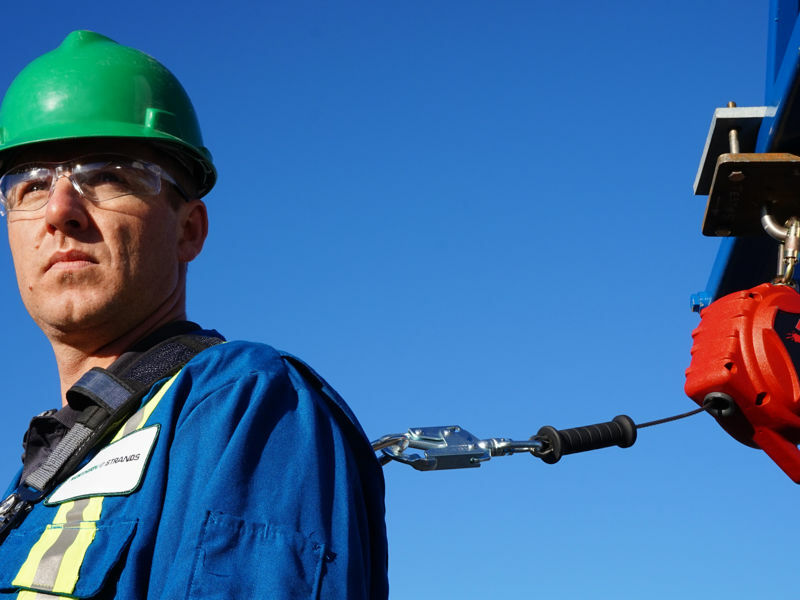 A vertical lifeline system installed on a fixed ladder is more efficient than using a double-leg lanyard for fall protection while climbing a ladder. 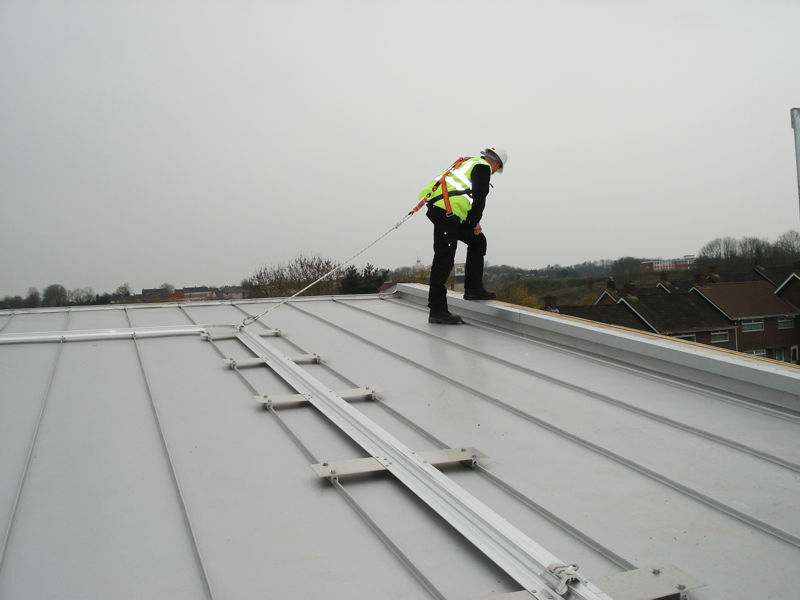 Rather than using the time consuming method of attaching and detaching your lanyard hooks, you can simply attach to the vertical life line and climb the ladder at a normal pace. 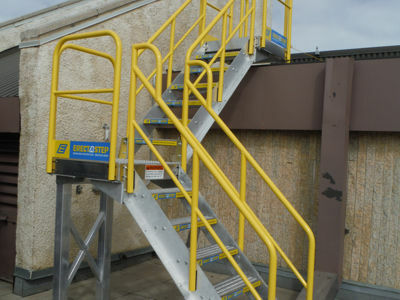 Walkways & Stairs - Walkways provide safe access to and from work areas located at heights. This lightweight bolt together component system is a very flexible solution for your stairway needs. 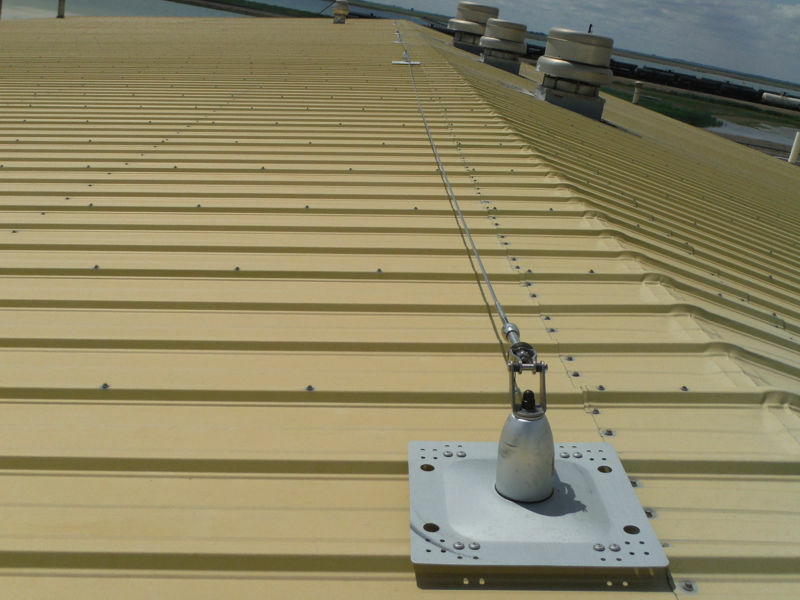 The components can be configured to adapt to the contour of your roof top to provide safe and compliant access to varying rooftop locations. 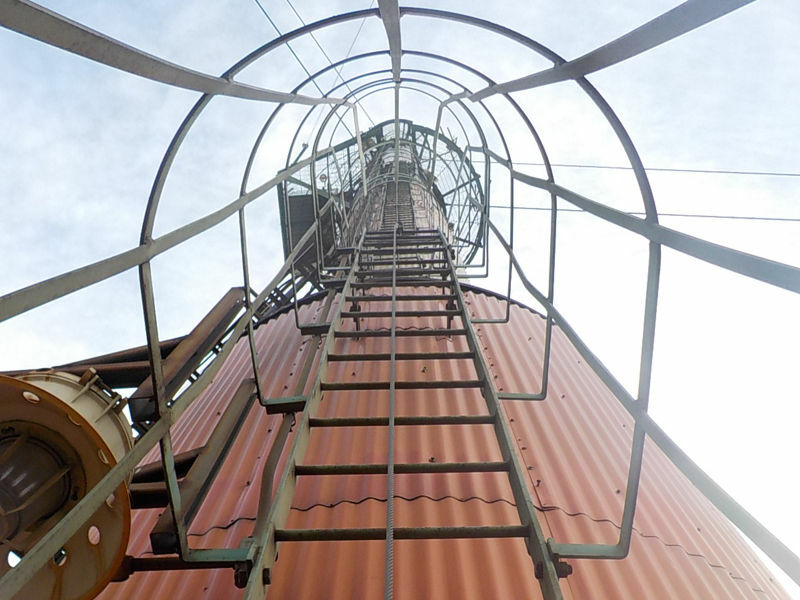 Comprised of rugged aluminum and powder coated pipe, this product is very versatile. Control Zone Markers - Keep employees and workers aware of the leading edge with clearly visible control zone markers. 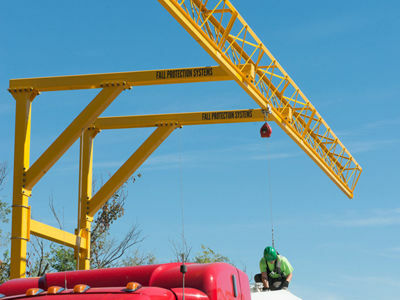 Fall protection Davit Systems - Every organization must have a fall protection rescue plan and fall protection davit systems can be an integral part of the rescue operation. 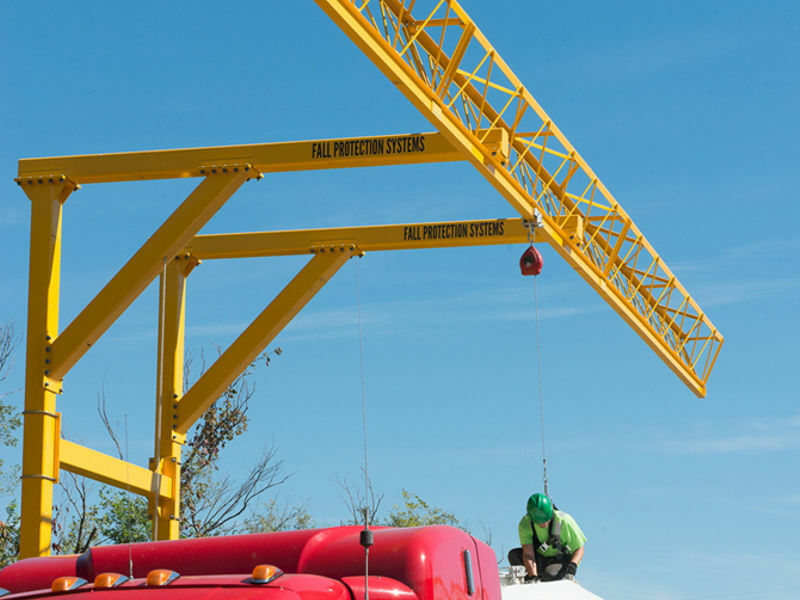 Davit systems allow a person to mount a fall protection device without being exposed to a fall hazard. 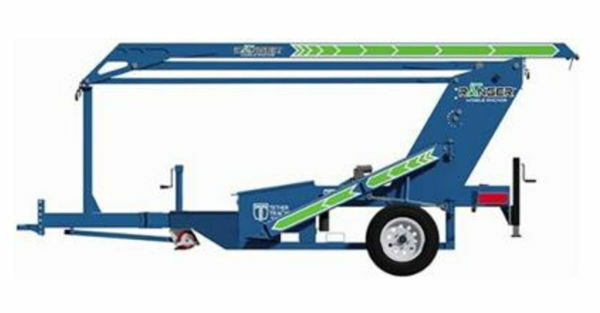 When used properly, a fall protection davit can reduce a falling person's chance of swinging into the nearest wall or structure. Counterweight Fall Protection System - The DBI-SALA® Advanced™ Series Counterweight System is a Fall Protection system designed for confined space and manhole entry applications or retrievals. 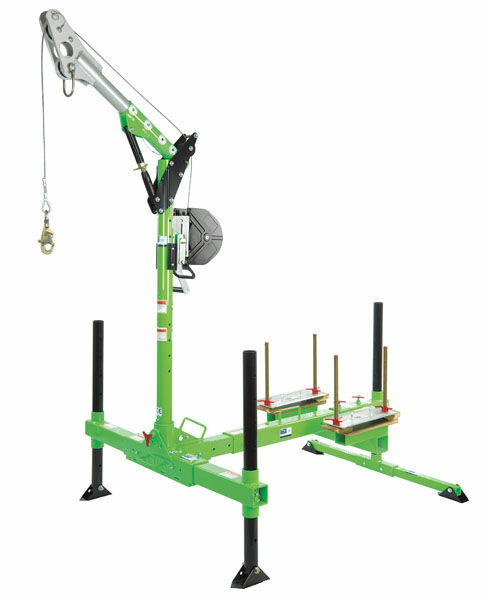 The Counterweight System has a central base unit that is best used in areas with a leading edge or large tanks that require access. 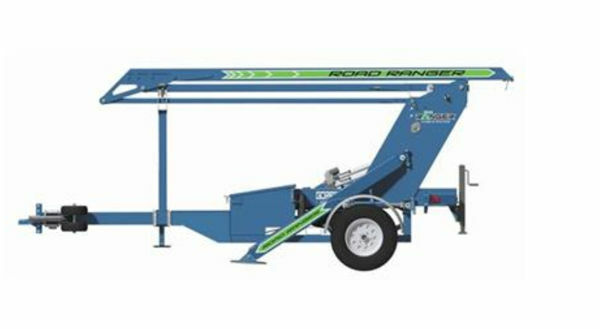 Ranger Mobile Anchor - The Ranger Mobile Anchor allows for quick attachments to towing devices and the unit can be maneuvered easily so that the anchor point is directly above the user as work is completed. 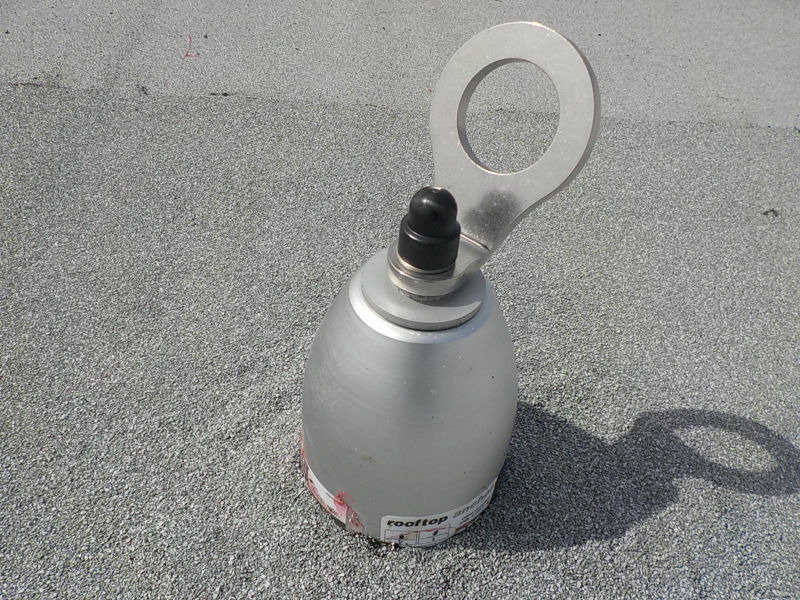 Road Ranger Mobile Anchor - This versatile anchor can give the necessary anchorage point wherever it is need. 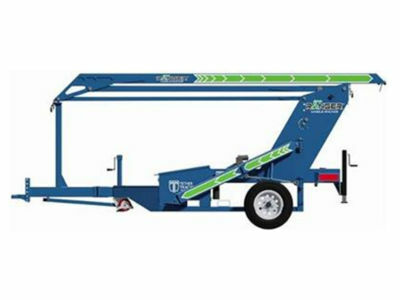 The Road Ranger Mobile Anchor is rated for highway towing up to 65mph or 104 km/hr and is perfect for maintaining aircrafts, road cars, industrial equipment, and heavy machinery. 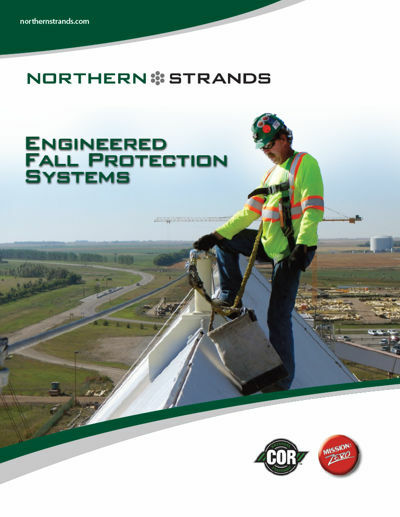 The complete “on the go” fall arrest system! 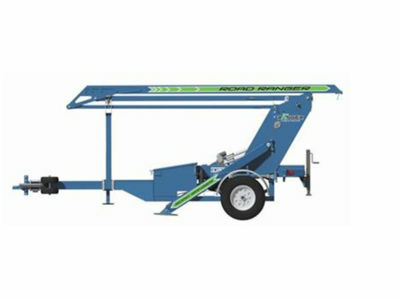 Portable Travel Restraints - When flexibility in use and movement are required, the portable systems can be installed and moved where needed. 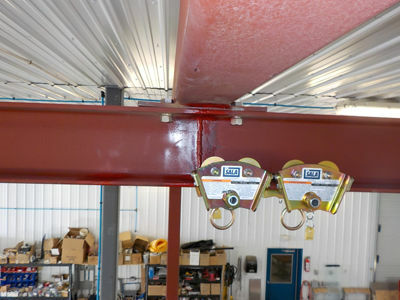 Overhead Rail/I-Beam Trolley - The overhead rail system and the I-Beam Trolley system often provide solutions where existing structure is already in place. This option is the answer when ground clearance is a concern, as there is less deflection to account for. 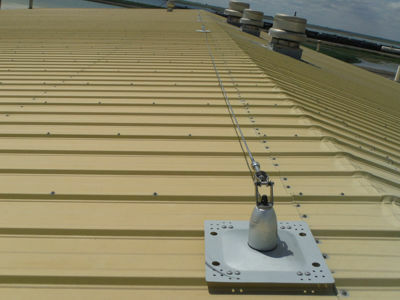 Rooftop Rail System - A direct-to-roof attached system that can change direction and roof slopes up to 15 degrees. This lightweight and versatile product sits low to the roof so as not to obstruct foot traffic. 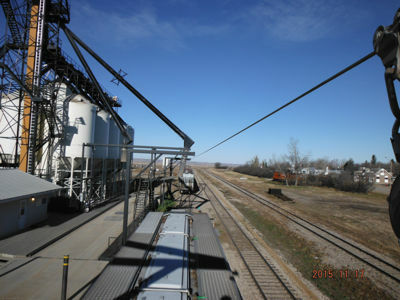 Rigid rail system - This system is ideal for applications such as rail loading, rail unloading, truck or rail hatch opening/closing, truck tarping and general vehicle and equipment maintenance.